It may have been a bit of fate that pushed Chris Ray to a career in beer. It was July 29, 2011, when Ray, a relief pitcher for the Seattle Mariners, stepped to the mound in the seventh inning, set to face the Tampa Bay Rays. Ray fired off 39 pitches across two innings, his array topping out with a 95-mile-per-hour fastball. His team was down by eight runs, but Ray had reason to be excited: A collaboration beer he made with Fremont Brewing, Homefront IPA, debuted in the stands with proceeds donated to Operation Homefront, a charity supporting military families. Ray, a homebrewer, was also pitching well, but felt a twinge of pain during his outing. “I was probably too amped up, and I threw my lat off my shoulder,” says Ray, speaking of his right latissimus dorsi, a muscle connecting the back to the shoulder. In the 283rd appearance in his career in Major League Baseball, Ray would finish the eighth inning and never step on a mound again in the majors. But that was OK. It was his push to start Center of the Universe Brewing Co., a dream he began conceptualizing in 2010. He would open the brewery with his brother, Phillip, in November 2012 in Ashland, Virginia. Ray isn’t the only person with a celebrity background to get into the beer industry. Steak houses, car dealerships and clothing lines have long been popular areas of interest for athletes, musicians and actors, but more are following the siren call of beer, from collaborations to full-fledged breweries. In 2014, Hanson, the music group made famous by their ’90s pop songs, launched Hanson Brothers Beer Co.’s Mmmhops, a pale ale riff on their No. 1 song, “MMMBop.” Former MLB All-Star Kevin Youkilis is co-owner of Loma Brewing Co. in Los Gatos, California. Actor Kelsey Grammer is planning to open Faith American Brewing Co. in New York’s Catskill Mountains. Radio and television host Adam Carolla recently made Endless Rant IPA with King Harbor Brewing Co. in Redondo Beach, California. 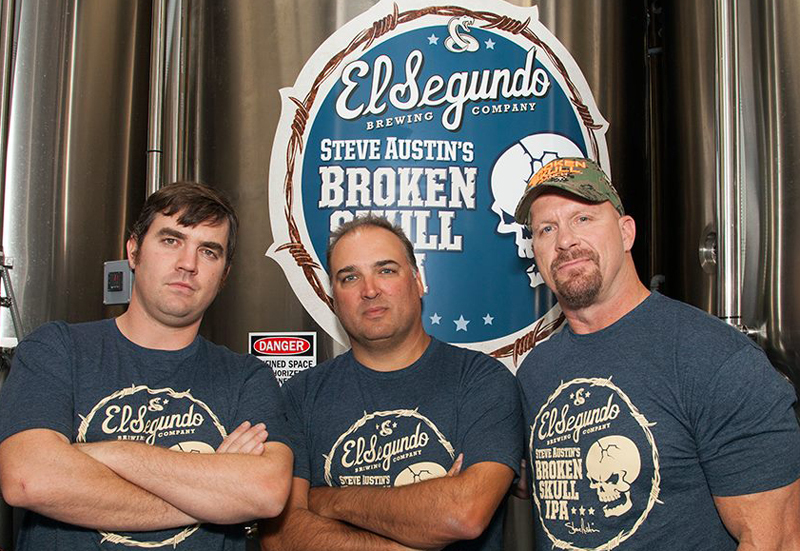 Wrestler Steve Austin and El Segundo Brewing Co. teamed up on Steve Austin’s Broken Skull IPA. The list goes on with celebrities from all corners of sports and entertainment getting involved. Wheaton’s love for beer has also extended into promotional work for a collaboration beer between Newcastle and Caledonian Brewery, and his two pit bulls, Seamus and Marlowe, were featured on a Foothills Brewing IPA of the Month label in July 2015. The founders behind Rock Brothers Brewing, who are bringing together beer and music, are also expanding those kinds of partnerships. Kevin Lilly and Tony Casoria launched their business in Tampa, Florida, along with partner Joey Redner of Cigar City Brewing in 2014 with the idea of creating musician-themed beers hand-in-hand with artists. That has led to collaborations with bands like Hootie & the Blowfish and 311. Rock Brothers has contract brewed its beers at breweries around the country, but will open its own brick-and-mortar brewery and music venue in Tampa this fall. 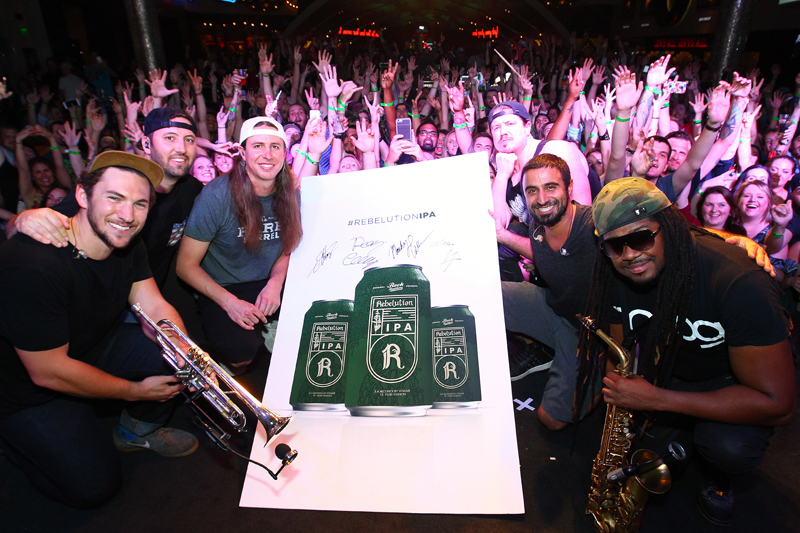 Among Rock Brothers’ most recent creations was an IPA brewed with reggae band Rebelution, a friendship that began after Lilly and Casoria were introduced to the band by NFL wide receiver Vincent Jackson. The IPA, like other Rock Brothers beers, is sold at the band’s performances with plans to roll out in home markets for each band, too. Great little article. This is happening with craft beer in Australia too. Three time world surfing champion (& shark attach survivor!) Mick Fanning has opened a brewery called Balter Brewing in Queensland with two other pro-surfers Joel Parkinson & Bede Durbidge. They are already churning out some nice beer. Cheers. One of the early adopters was Tom Skerrit, the actor who played Tom Cruise’s commander in “Top Gun”. He was part owner in the Crested Butte (CO). I saw him at the GABF back in about 1996.